From childhood I have suffered from asthma attacks when I had a flue. At age of 27 I had pneumonia from which I have recovered. 6 months later I went on a ski vacation in a cold weather which my body was not accustomed with - my country is usually quite warm and it never snows. When I came back I had my first severe asthma attack - I was suffocating - and was sure my life had come to an end... I was rushed to emergency room and got steroids injection. These attacks repeated every 2 days. The sudden change of the weather and the weakness of my immune system were the trigger to the hidden asthma to burst. This was the beginning of my total dependence on asthma medicines – I had to take them twice a day, exactly every 12 hours- 08:00 in the morning - 20:00 in the evening - otherwise - suffocation began. At 7:45 I was begriming to feel the breath difficulties. I have tried all kinds of treatments, conventional and non conventional – special breathing treatment etc. – nothing helped. 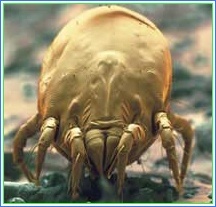 I am allergic to dust mite– and my nose was running most of the time. I took tons of antibiotics – and always the strongest one. Regular medicines did not help me anymore. After around 9 years like that, at age of 37, I was desperate and new I had to find a solution. I went to a farm store, wondered around the shelves - reading tags on the different medicines. Then I sow Siberian Ginseng (Eleuthero) - "good for chest cold"- OK, I thought - let's try. This lead to the dramatic change in my life quality. After few days with Siberian Ginseng (Eleuthero)- 20:00 arrived and I am breathing easily- I was exited. I have began to be late a little with the evening medicine – to test myself and sow I can still breath …. Then I continued with skipping peals and finished with Dropping the peals !!! The change was not instant – it took some months – I think – around a year – but a year of constant improvement. Today – 15 years later – I am "clean" – no peals, no inhalers – even no tissue… all thanks to Ginseng. The boost was in my mental and physical vitality as well. I was less stressed, had more energy, more focused - not only because I was in better health - but this was an immediate affect from the Siberian Ginseng (Eleuthero) !!! It was like a miracle and I had to find the secret of Siberian Ginseng (Eleuthero) - to know how does it works. I have searched and studied about it – and have found out everything about this unique herb. I have also studied about our body, what is Asthma, how our Immune system works - all to understand how this miracle occurred in my body. I bring to you, dear surfer, all the info I have found as I have decided to spread the word out – what Siberian Ginseng (Eleuthero) did to me – especially in these days, with the threat of H1N1 flu – as we all need to enhance & build up our Immune system. The synthetic food we are eating, antibiotics, air pollution, agriculture spraying, smoking, stress, luck of sleep and much more, weakens our immune system. The viruses and germs are getting immunized against the different antibiotics – We must help our Immunity system protect us – and we can! This is why I have decided to spread the word on the net. To read about Siberian Ginseng (Eleuthero) , additional types of Ginseng, and their remarkable qualities. Personally I order - for me and all my family - in a site, which I warmly recommend, with an offer of "Buy 2 get 3 Free"!!!! or 1+1 with real low prices and very good quality products. Another recommendation is a site I used to order before I have found the above site. It is a very good site as well, British - with reasonable prices and good products. Asthma is a chronic lungs disease. It is characterized by a predisposition to a chronic inflammation of the lungs in which the airways – bronchi - are reversibly narrowed. The mucous causes cough in order to get rid of the mucous. The bronchi constriction causes shortness of breath – the air cannot go through the airways and the feeling is of suffocation. These short of breath attacks can be very severe and even dangerous. The Asthma diagnosis is done when the breathing difficulties attacks reoccur. Or frequent sounds of wheezing. It is done by a lung specialist. The lung's function is being tested under stress activity and/or under controlled stimuli. Asthma affects around 5-7% of the world adult population. But in some countries, as Australia for example, the prevalence can reach 10-12% of the adult population. Among children the prevalence is around 12% around the world. Viral cause – can be a flu virus (not germs) that has developed complications. Allergenic – different environmental conditions causing allergy – such as dust mite, cigarette smoke, air pollution, trees stamens, cats, weather changes etc. Antibiotics– increased use of antibiotics from early age weakens the immune system and increasing the risk of Asthma and allergy. All the above can be the trigger to the over reaction of the bronchi - the sudden constriction and blocking of the airways. As already mentioned, asthma can cause severe short of breath attacks which can be very dangerous. But the chronic state of this disease is a consistent constriction of the bronchi – i.e. – the bronchi cannot go back to its previous state and stays narrow - this causes constant difficulty of breathing. In this case daily medications must be taken. – This is what I had. A. Short term emergent relief – Ventolin inhaler – relaxes immediately the muscles of the breathing airways, opens them up and brings immediate breathing relief. 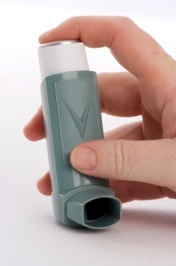 An asthma patient never moves without it…. B. Long term – 12 hours effect – preventives. Taken by inhaling or swallowing. An asthma patient is totally dependent on these medicine and must take it on time. This is what I have done and what have saved me. I did it with the help of Siberian Ginseng / Eleuthero. 1) Personally I order - for me and all my family - in a site, which I warmly recommend, with "Buy 2 get 3 Free" promotion ! or 1+1, with real low prices and very good quality products. 2) Another recommendation is a site I used to order before I have found the above site. 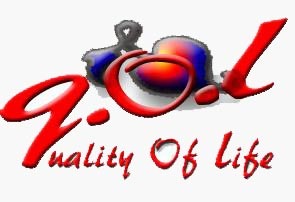 It is a very good site as well, British - with reasonable prices and good products. *** In case other drugs are being taken, consult a doctor before use.